Around 1:49 a.m. on Aug. 7, a 38-year-old man was fatally shot outside a BP gas station at 6600 Essington Ave. in Southwest Philadelphia. He was among 11 shooting victims during a violent weekend in Philadelphia. Three people are dead and ten others wounded after a violent outbreak of shootings rocked Philadelphia between Saturday night and Monday morning, according to police. The first 10 victims were scattered across the city over a five-hour period, beginning around 10:38 p.m. Saturday in West Philadelphia, where a 23-year old man was shot in the calf along the 800 block of North 66th Street. He was treated for his injuries at Penn Presbyterian Medical Center. Not long after, at around 11:12 p.m., a 31-year-old man was shot in the foot along the 6100 block of Callowhill Street in West Philadelphia, followed by the shooting of a 23-year-old woman who sat in her car on the 7200 block of Mallard Place in Southwest Philadelphia. She was struck in the left arm and grazed along the neck. Both victims were also treated at Penn Presbyterian. Just after midnight Sunday, a 29-year-old man was fatally shot on the 3400 block of Braddock Street in Kensington. He was later identified as Tyrell Boggs, a Philadelphia School District bus driver and father of two daughters. Minutes later, a 33-year-old man was shot in the face along the 5400 block of Spring Garden Street in West Philadelphia. He was listed in critical condition at Penn Presbyterian. At 12:35 a.m. Sunday, a 28-year old man was brought to the Episcopal Campus of Temple University Hospital for a gunshot wound to the leg and was later listed in stable condition. At 12:47 a.m., a 20-year-old man was shot multiple times at Eighth and Spring Garden streets. Despite bullet wounds to the jaw, back and buttocks, the victim walked to Hahnemann University Hospital and was last listed in critical condition. Another 20-year-old victim who was shot at an undisclosed location walked into Penn Presbyterian for treatment after he was shot in the left leg and grazed in the head. 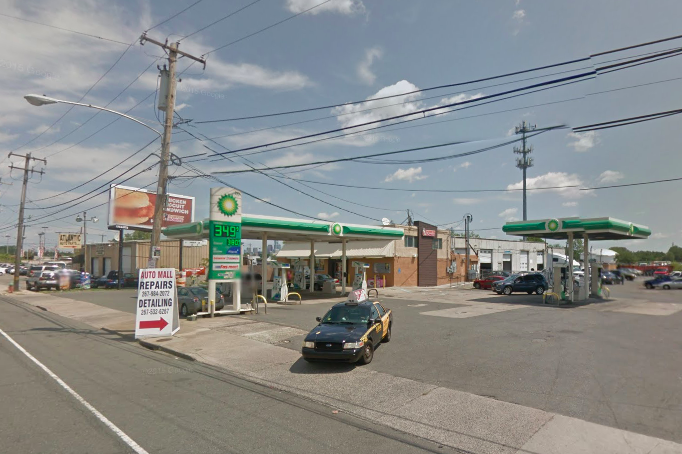 Around 1:49 a.m. in Southwest Philadelphia, a 38-year-old man was shot multiple times in the head outside a BP gas station at 6600 Essington Ave. He was pronounced dead and has not yet been identified. Two hours later, a 27-year-old man was shot in the face during an attempted robbery on the 100 block of Callowhill Street in Old City. He was listed in critical condition at an undisclosed hospital. Police said Monday that another two victims, a 28-year-old man and a 23-year-old woman, were shot while sitting in their car Sunday night near 6th and Spring Garden streets in Northern Liberties. Both victims survived the attack. Finally, at around 2:30 a.m. Monday morning, a 29-year-old man was killed in what appears to be an accidental shooting at a home on the 2800 block of South Seventh Street in South Philadelphia. Police are questioning the victim's 26-year-old brother, who told investigators that the gun discharged after he dropped it, as well as his father, who was at home at the time. The surge in violence pushed Philadelphia's homicide total to 166 in 2016, a 6 percent increase over last year at this time. Police said no arrests have been made in any of the shootings as of Monday morning.